This post isn’t property related but it is part of my life, as is the blog, so I’ve chosen to publish it. I love Christmas time, decorating the tree for my daughter, buying and wrapping presents, frosty mornings (except when my car won’t start!) parties and fun with family and friends. 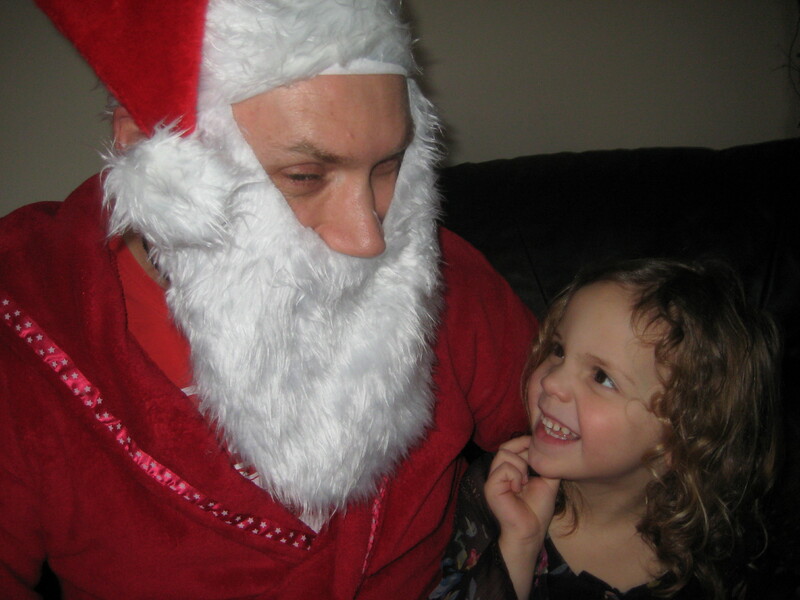 I took two of my grandchildren to see Santa last Saturday (Oscar & Mia) and just loved seeing their little faces light up when they were asked what they wanted Father Christmas to bring them on Christmas eve. Mia said she wanted a real pony and Oscar asked for a racing track! I don’t think her Mum would appreciate clearing up after a pony in the garden haha. Christmas is also tinged with sadness for me as I lost my lovely Mum on December 16th 2008, she’d been suffering from COPD for years and was only 66 when she died. I miss her every day. Even more so at this time of year as I’d never spent a single Christmas without her until then. I always went Christmas shopping with her, so just walking around the shops lisening to the Christmas songs they’re playing is enough to make me ‘fill up’, it’s so hard. However, she’d want us all to have a good time and we will. I still buy my daughter Summer a present from her nanna every year as they were very close and she misses her too. So have your bad days, remember those you have lost, do whatever it takes to make you fell better, scream, shout, have a good cry, let it all out (you’ll feel better for it) then go and talk a good friend who really knows how to cheer you up. You can then count our blessings, laugh, think positively about the good things you have and what you want, make plans to ensure you achieve your goals and look forward to good times. Life is what YOU make it, so MAKE IT GOOD! Previous Why Is It Important To Network? Next Armchair Property Investment. Is It for You?